Are you in need of a watch? 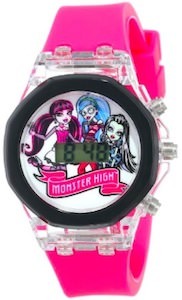 How about a Monster High watch? This watch has a cool pink strap and the watch itself has a see though case with flashing lights. The watch face shows an LCD watch and 3 of the Monster High characters. You can see Draculaura, Ghoulia Yelps and Frankie Stein all on the watch face complete with a banner that says “Monster High”. If you kid is into Monster High then this could be a great watch for them. No more questions about what time it is as they now can look at their own watch. Make a kid really happy with this Monster High LCD Watch With Lights. 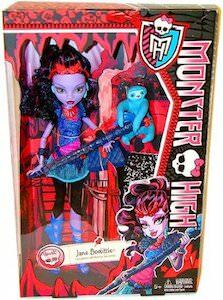 There is Jane Boolittle one of the newer members of Monster High. 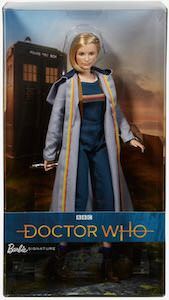 Jane looks like a fun character and this doll lets you play out many fun monster stories. And Jane of course brought her pet sloth Needles as she is more friendly to animals compared to humans. If you are a Monster High collector then you know how much fun these dolls are and this new addition will be a hit in your collection. 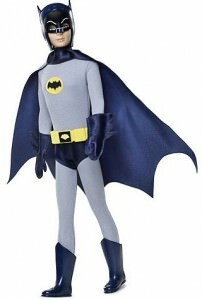 It makes me wonder if those doll get to life at night and have little Monster high parties. Add a new doll to your collection and let it be this Monster High Jane Boolittle Doll. Spring break time should be fun time and this time the girls from Monster High are going on island adventures. As you can see Frankie Stein is all dressed for the beach in her bathing suit. Maybe by now you notice something different on the picture of the Franie doll. Yes it is in black in white, this special Frankie Stein doll is black and white and even the box it comes in does not have any color. This makes it a very special doll for a Monster High collector. The Frankie Stein doll is based on the Skull Shores episode and of course that is something you want to own a part off. So come and have a closer look at this Monster High Skull Shores Frankie Stein Doll. Lagoona Blue, she is the daughter of the famous Sea Monster and other than going to the cool ghoul school of Monster High she also enjoys spring break at Skull Shores. This doll is fully articulated and can be posed in different ways, the Monster High Lagoona Blue doll has a flower headband in her hair, a hair brush, cool refreshing drink and also included is the Skull Shores collectors card. With always freaky fashion and scary style this Lagoon Blue doll is made by the awesome company Mattel so you know it will be great quality for all of your playing needs. Have a closer look at the Monster High Skull Shores Lagoona Blue Doll. Are you a collector of the cool Monster High ghouls and monsters? 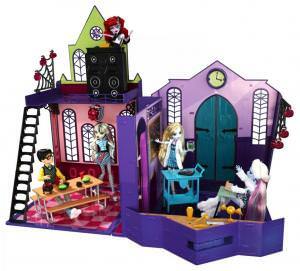 If you are then you do not want to miss out on this awesome Monster High Mattel doll house playset, modeled after the famous Monster High School you will not believe how detailed this doll house is. First off the classroom, there is a science cart with wheels and a three eyed frog in a jar, along with a blackboard and a spooky spider web clock. The cafeteria or as they call it the creepateria has a table with little food accesories and along the wall find coffin lockers that even have small skull locks, also there is a DJ booth up top for school dances. Outside find find a basketball net, of course it is called casketball though and the playset even comes with a little casketball for your dolls to shoot a game. The entire Monster High High school doll house expands for play and when not in use it can collapse and fold up neatly for easy storage. Check out this Monster High High School Doll House. The cool ghouls and monsters from the hit animated series Monster High have so much scary style it is hard not to love each character for who they are. This is a Mattel made doll of Venus McFlytrap that has all the features that make her unique like her lime and pink hair and her plant like designs on her outfits. Included with the Monster High Venus McFlytrap doll is a doll stand, a black hair brush, a diary, a fun little bag purse and her pet which is a venus flytrap plant named Chewlian. A very well made and durable doll that is fully articulated so Venus can be posed in many different ways and allow you to play out many of your favorite Monster High scenes. Collect and play with the Monster High Venus McFlytrap Doll. Who is your very most favorite Disney Princess? If it is the beautiful and magical Princess Rapunzel from the awesome Disney animated movie Tangled, then you have found the perfect gift right here or add this to your Barbie doll collection. This is a Tangled Rapunzel doll made by the trusted company Mattel, find Princess Rapunzel with her long golden hair and her amazing purple designed dress that sparkles and shines. 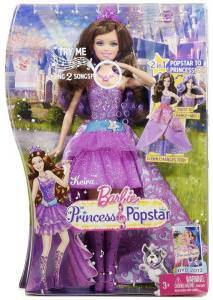 Also included with this doll is a silver hair brush and 10inch wear-and-share hair extension aswell as matching purple shoes and a purple tiara. 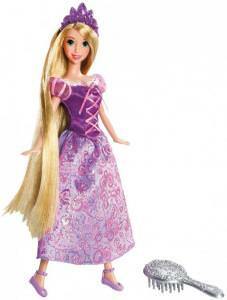 Re-enact your favorite Tangled scenes with the Disney Tangled Princess Rapunzel Doll.